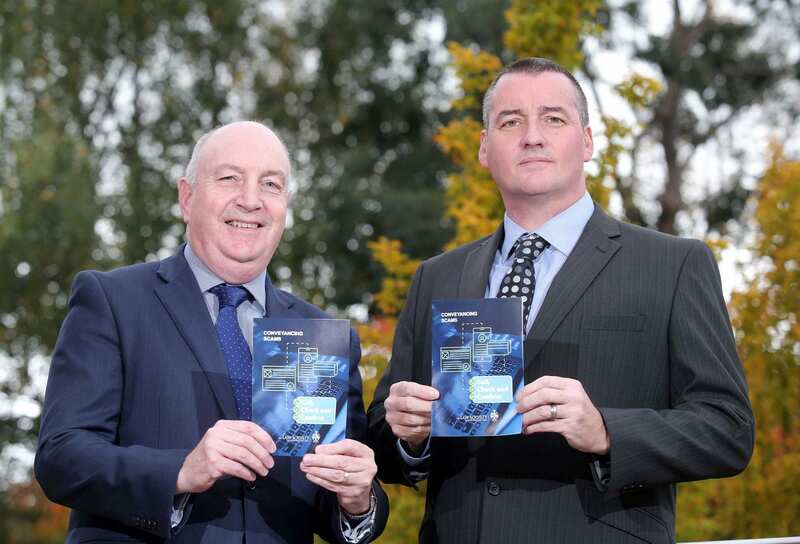 Call, Check and confirm, a new awareness campaign, has been launched this week by the Law Society of aimed at reducing the threat posed by cybercriminals targeting homebuyers, sellers, lenders and solicitors in Northern Ireland. The ‘Call, Check and confirm’, campaign has been launched by the Law Society of Northern Ireland and provides guidance, information and recommended actions to all parties involved in a house sale or purchase. The Law Society have launched the new campaign following an increase in the number of reports of those involved in the conveyancing process being targeted and scammed out of significant sums of money by cyber-criminals. Unfortunately the reports to the Society also indicate that criminals are now actively targeting home buyers with transfer scams. Transfer Scams are when the borrower transfers the deposit or other payments in connection with their house purchase to their solicitor but the money is intercepted and stolen by a fraudster. The scam involves the fraudster hacking the email account of the homebuyer and then monitoring all their emails waiting for the opportunity to misdirect and steal the homebuyer’s money intended for their purchase. As the transaction nears completion the fraudster will send an email purporting to come from their solicitor to the homebuyer instructing them to pay the money into a different bank account and providing bank account details for the fraudster’s own account. This is all part of the elaborate fraud which has resulted in some homebuyers losing significant amounts of money intended for their house purchase. Unfortunately In many instances the money has never been recovered. The new Call Check and Confirm campaign aims to prevent the fraudsters being successful by providing information and simple instruction to homebuyers. “Our simple message to home buyers is that it is very unusual for a solicitors’ firm to change its bank account details in the course of a conveyancing transaction. So if you receive an unexpected email apparently coming from your solicitor asking you to lodge money or a deposit into a new bank account simply call your solicitor, check with them and confirm that it is genuine. It is recommended that bank account details should not be sent by email as this can create opportunities for criminals to steal money using transfer scams. It is important that all parties involved are aware of the potential risks and that they take practical steps to ensure that funds remain safe and that the conveyancing transaction progresses smoothly and successfully. The Call Check and Confirm campaign is the latest in a series of initiatives from the Law Society to support local solicitor firms and their clients and to ensure that their data and money is protected. The Call Check and Confirm information is available from the Law Society’s website www.lawsoc-ni.org or from local solicitor offices upon request.